One of the most well-known and traditional NFC conferences – WIMA NFC – took place in Monaco for the 7th time from 10. – 12. April 2013. 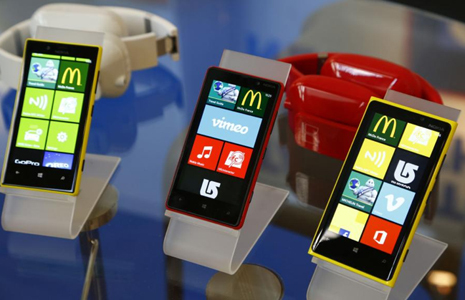 Nokia was once again present as a sponsor with their own stand, and was showcasing several NFC apps on Windows Phone. One of those was NearSpeak, which is also highlighted in the article at Nokia Conversations (plus in the article at WP Central). If you look closely at the photos of the phones, you’ll also recognize that Nfc Interactor was part of the demo phones!